When Gurucharan Pattanayak, Bhagabati Charan Panigrahi and Prananath Pattanayak founded the Communist Party in Orissa, Raghunath Pattanayak of Olasingh was one amongst a few of the freedom fighters that had joined them. Gandhiji was leading our freedom movement. Yet, there were patriots, who despite being his followers in the freedom struggle, were actively against his political economy, as to them, his theory of trusteeship was too confused and compromising to emancipate the proletariat of this country. Their creed was socialism and their collective entity was the Communist Party or Communist Party of India. Top intellectuals and absolutely selfless patriots had joined the CPI. And CPI had emerged as the greatest obstacles to usurping of India by the rich after the British. Hence, when Nehru became the interim Prime Minister after independence, to help the rich grab the Constituent Assembly for protecting their class interest (which in reality they did), the CPI was banned and thus was debarred from participating in making of the constitution. Yet in the first general election conducted under the pro-rich constitution, the Communist candidates were elected despite being underground or in the prisons. This was because the Communists had given heroic leadership to the two decades long last phase of our freedom movement more in people’s than the non-violent ways of Gandhiji. Annihilation of British officer Major R.L. Bazalgette at Ranpur on 5.1.1939 is just an instance. Though Raghu and Dibakar were hanged for murder of this Officer, Raghunath Pattanayak had narrowly escaped prosecution along with Prananath Pattanayak, Gangadhar Paikray, Laxman Pattanayak, Gokul Mohan Roychudamani and Parshuram Paikray because of the tact of Mohan Dash and the emphatic interference by the then Prime Minister of Orissa, Bishwanath Dash. 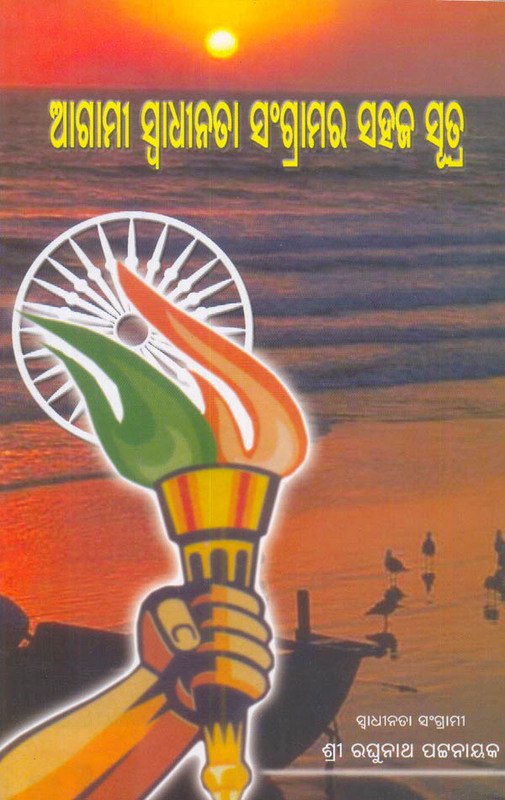 After independence, many of the freedom fighters joined power politics. But, Raghunath refused to join the power-seekers. He preferred to stay in his mission of emancipation of the poor. Spreading beyond spinning wheel movement of Gandhiji, he stood with the traditional weavers of his native place and inspired them again into their neglected art of producing beautiful handloom clothes that eventually resurrected their economy. Raghunath palli, the village of weavers thankfully named after him, sings glory to the freedom fighter that had contributed his best to free India from foreign yoke, but had taken nothing from free India. He was not the only one amongst freedom fighters to shun power politics in free India. But he was certainly a unique one in their midst who refused to stay silent spectator to reemergence of the pre-independence exploitative system in free India. He decided to continue his selfless service to the motherland by educating the people against failure of the freedom they had obtained and therefore raised his pen against post-independence misrule. His views started appearing in op-ed pages of language dailies of Orissa. 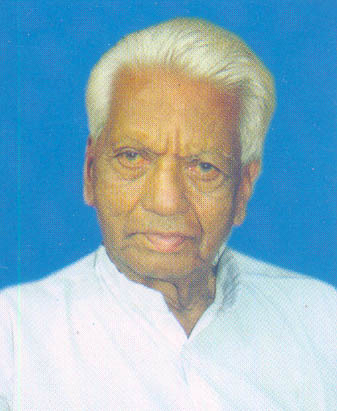 Born to Olasingh’s legendary landlord Dasarathi Pattanayak on15 February1915, Ragunath passed away on 8 November 2005. But when a collection of his columns was compiled and published in 2004, he preferred for it the caption: AGAMI SWADHINATA SANGRAMARA SAHAJA SUTRA (The Easy Method for the Next Fight for Freedom). The caption itself suggests and the revolutionary has made it abundantly clear in his writing that the freedom for which he and his compatriots had dared death has not been available to the people. Power surrendered by the British has been usurped by the indigenous rich. The planning commenced in post-independence India for emancipation of the poor has been hijacked by the propertied class for benefit of their empires. Hence in the book, sic passim is emphasis on a fresh fight for freedom. The revolutionary has not stopped at this. He has proceeded to prescribe the methods for this fresh fight for freedom. And his methods are two. The first method is to determine the cause of failure of our freedom. Raghunath has determined two causes. The first one is immunity granted to the executive through retention of the British style of administration in free India. The second cause is the environment of concentration of wealth in few hands through nexus between the avaricious traders in one part and the dishonest bureaucrats and political crooks in the other part. How to eradicate these causes of failure of our freedom? Here comes his second method. That is exposure of misrule without any weakness. In fact, he has tried to do exactly this in his columns compiled in this book. First published in 2004, the 2nd edition of this compilation is brought out by Associated Media Foundation and is available through 5R F/5, Unit 3, Bhubaneswar 751007 and is priced Rs.125/- (Library Edition) and Rs.100/- (Paperback edition). Copies can be booked through partha_pat@yahoo.com.